Western Carolina University holds its charges to the minimum commensurate with the provision of needed services. The following schedule of fees, due and payable by the payment deadline for each semester, will be effective beginning with the fall semester of the 2017 - 2018 academic year. The university reserves the right to alter any charges without prior notice upon direction from appropriate governing authorities. 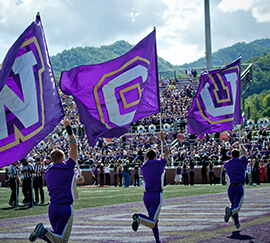 Application for admission must be accompanied by a non-refundable application processing fee, in the form of a check or money order made payable to Western Carolina University. All charges are due and payable on or before the payment deadline for each semester. Payment may be made by mailing a check, cashier’s check or money order, to the Student Accounts Office, in-person at the One Stop in the Killian Annex, or on-line by credit card or check through the MyWCU student portal. In accordance with state policy, a processing fee of $25 is assessed for returned checks. A processing fee of $5.00 will be assessed for ACH payments with incorrect account information. Any fees or fines not paid will cause the university to withhold the issuing of transcripts and block registration for classes until all debts are cleared. Students who preregister will be required to remit full payment of tuition and fees by August 1 or next business day for fall semester (December 15 for spring semester-or next business day) in order to retain their preregistered class schedules. After this deadline, schedules of undergraduate students who have preregistered and not paid will be canceled. The class seats made available thereby will be offered to these and all other students who register in the regular registration and drop-add periods at the beginning of the semester. New students (first year and transfer students) who are admitted to Western Carolina University in resident coursework are required to remit a $150 nonrefundable tuition deposit as soon as possible but no later than May 1st (for summer and fall terms) and December 1 (for spring term). By doing so, the student reserves a place in the entering class and establishes eligibility to preregister for courses to be taken in the first term of enrollment. This amount is due and payable upon notification of acceptance for admission and must be paid prior to participation in course preregistration. The payment is fully creditable to charges for the first semester of enrollment. New students who intend to live on the University campus must remit a $150 nonrefundable housing deposit as soon as possible but no later than May 1st. First year students are required to live on campus. First year students living in Jackson, Macon, Haywood, and Swain Counties may apply for a Housing Waiver to live at home. This amount is due and payable upon notification of admission and is fully creditable to housing charges for the first semester of enrollment. Returning students are required to remit a $150 nonrefundable housing deposit by June 1 of each year to secure residence hall spaces for the next academic year. This payment is fully creditable to first semester housing charges. After June 1, requests and payments for campus housing will be accepted on a space-available basis. The university classifies its programs and courses into two categories: resident and distance learning (DL). Students should become familiar with the classification of their programs, because each has a different tuition and fee structure. 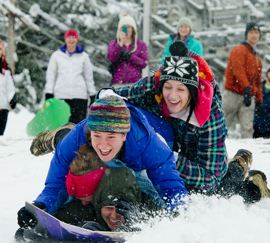 Resident programs are located on campus in Cullowhee or at resident centers in Asheville/Buncombe County and Cherokee. Degree or certificate programs that are approved for DL serve students away from the Cullowhee campus and its resident centers. Course sections are classified as resident or distance based on the intended population to be served. Although course section classifications as resident or distance typically follow program designations, there are exceptions. So, during the on-line registration process, students should look at the CAMPUS designation to determine whether the course section is a resident or distance course for tuition purposes. Tuition and fees are based on program and/or course section campus classification and are applied to all academic terms. Typically, resident and distance students enroll in course sections in the same classification as their program (e.g. distance students enroll in distance courses). Occasionally, students may find it necessary to enroll in a course section whose designation is different from the classification of their approved programs. When this occurs, distance and part-time resident students will be charged the tuition and fees associated with the classification of each individual course section (resident or distance). Full-time resident students will be charged their full-time rate regardless of the combination of resident and distance course sections. 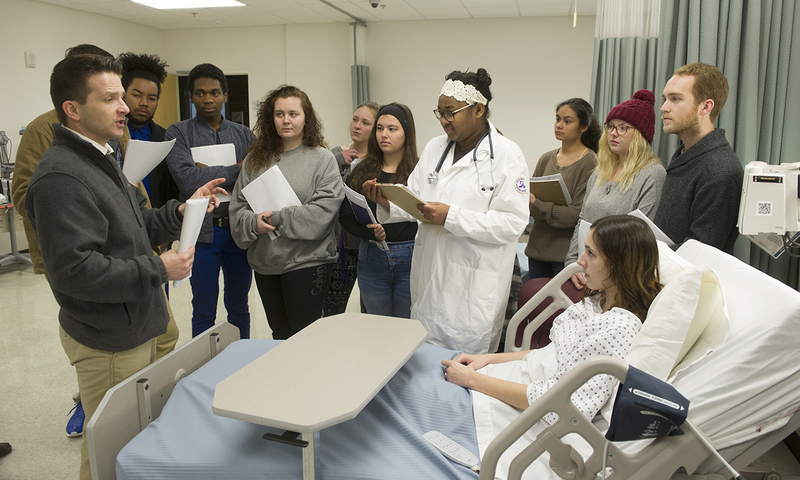 Since there is no full-time rate for DL students, they will be charged the part-time rate for resident courses in which they enroll unless their program has a special provision to be charged otherwise. Special provisions may be approved for specific programs (e.g. Military and Jamaican programs). *For qualifying students, continuing students, the tuition charge will remain at the 2016-2017 level. * For qualifying, continuing students, the tuition charge will remain at the 2016-2017 level. **Fees include $1265.00 for Health Insurance Fee. May be waived by verifying coverage at www.studentinsurance.com. Undergraduate, new students, enrolled for eleven or fewer hours; graduate, enrolled for eight or fewer hours. For each course scheduled for audit, a charge will be made equal to the credit hour value of the audited course. Tuition rates above assume that you are a full-time student. Students who enroll for eleven or fewer semester hours are considered part-time. More information on part-time enrollment tuition and fees can be found at http://tuition.wcu.edu. Textbooks are available to graduate students by purchase only. Fees for distance education include Education and Technology, Association of Student Government and Document and Campus Security Fees. *For qualifying, continuing students, the tuition charge will remain at the 2016-2017 level. A student who registers after the last regular registration date will be charged a late fee of $10 for each course. Delinquent accounts will be assessed a one-time 10% late payment penalty and monthly interest at an interest rate established by the North Carolina Department of Revenue. Students and parents can also find additional information on Western Carolina University’s Use of Tuition Statement at: http://www.wcu.edu/WebFiles/1516WCUTuitionBillStatement.pdf . This statement provides detail on an annual basis for the UNC Board of Governors approved tuition and fees only. For a list and description of both UNC Board of Governors and WCU’s fees, go to http://www.wcu.edu/apply/tuition-and-fees/index.aspx and choose “More about 2017-2018 Required Fees”. University policy requires students who live in a residence hall to purchase a meal plan from the residential plans each semester. Unused declining balance points at the end of fall semester will transfer to spring semester for continuing students. Unused declining balance points are forfeited at the end of spring semester. Block Plan meals must be used in the semester for which they were purchased. Unused Block Plan meals do not transfer to the following semester and will be forfeited at the end of the semester. The balance remaining at the end of fall term does not change the requirement to purchase a meal plan for spring semester. No refunds will be issued for unused block meals or declining balance points. Deadline for students to change their meal plan is the last day of course drop/add each semester. Block Meals are prepaid all-you-care-to-eat meals that can be used at Courtyard Dining Hall for any meal served. Block Plan meals are available to use throughout the semester. There is no limit on the number of meals that may be used during a specific day or week, but meals must be used in the semester for which they are purchased. Block Meals do not transfer from semester to semester. Block Meals may only be used at Courtyard Dining Hall. Declining Balance Points work on the same principle as bank debit cards. Each time you make a food purchase, the total cost of your purchase is subtracted from the point balance in your account. Declining balance points may be used at any campus dining location including the convenience stores and snack vending machines. Unused declining balance points at the end of fall semester will transfer to spring semester. Unused declining balance points at the end of spring semester are forfeited. No refunds will be issued for unspent declining balance points. Almost all retail dining locations offer a Meal Exchange menu. Meal Exchange will allow you to use a portion of your block meals in the retail locations. To use a Meal Exchange meal you simply order an item from the Meal Exchange menu and then let the cashier know you will be using Meal Exchange to pay for your order. To determine how many Exchange Meals come with your Meal Plan check out the Meal Plan page. The meal plan description will tell you the number of Block Meals, Exchange Meals and the amount of Declining Balance (DB) associated with your plan. You may also check your meal plan balances on myWCU. A valid WCU Cat Card is required to use your meal plan. You must personally present your Cat Card to access your meal plan. You may not loan your card to another student. Cards presented in dining locations by someone other than the card owner will be confiscated. Cards and replacements may be obtained in the Killian Annex at One Stop Student Service Center. Cards that are damaged or the picture is impaired may be confiscated. Lost or stolen cards must be reported immediately to the Cat Card office or to University Police in order to have the card declared invalid. The University and Dining Services are not liable for purchases made with lost or stolen cards. Your meal plan can be used during scheduled service times from lunch on the day residence halls open until residence halls close at the end of the semester except during these University holidays: Thanksgiving Break (Wednesday - Sunday lunch), Winter Break, and Spring Break. Serving dates and hours of operation at individual dining locations are described on our website at http://campusdish.com/. Holiday hours will also be posted several days in advance at each location and will be available on the website. **Freshmen must choose either the Unlimited, 125 Block or 175 Block Plan. Students who withdraw from the university as a result of involuntary recall to military service, pursuant to a Presidential order authorizing the call-up of reservists, and who are thereby prevented from receiving credit for the courses in which they are enrolled will be entitled to a full refund of tuition and fees. Refunds of room and board charges will be prorated based on the number of days the dormitory room was occupied and the meal ticket was used. Students having the declining balance meal plan will be refunded the actual account balance at the time of withdrawal. Students who reduce their course loads during the registration period for the semester as defined in this catalog but who continue to be enrolled in the university will have their tuition and fees adjusted fully to reflect only the number of semester hours in which they remain enrolled. Part-time students are eligible for a refund based on the semester-hour tuition rate. Full-time students are eligible for a refund only when course loads are reduced below the minimum hours required to qualify as full-time. No adjustment will be made for reduced loads after the close of the registration period. However, students who drop all courses must withdraw from the university. They are, therefore, eligible only for the partial refunds that apply to university withdrawals. A student who withdraws from summer school before the first day of classes or during the first three days of class will be credited 100 percent of tuition and fees. Students who withdraw from the University beginning the fourth day of classes are eligible for credits through the first fifty percent of the summer session. The credit prorations for summer school are available from the Student Accounts Office. Summer school students who reduce their course loads by one or more semester hours within three days following regular registration or on or before the date of the second class meeting, whichever is later, will have tuition and fees adjusted to reflect the number of semester hours in which they remain enrolled. Credits for room fees for any semester or summer term will be calculated at the same rate as tuition and fees. Meal plan credits for standard meal plans will be calculated based on a prorated daily balance. Meal plan credits for declining balance plans will be based on the actual balance remaining on the student account at the time of withdrawal. All-you-care-to-eat meal plans have a standard declining balance component. Credits for all-you-care-to-eat plans will be based on the policy applicable to each component. Credits will not be made for the last two weeks of a semester or for the last week of a summer session. Exceptions to these policies may be made if a student withdraws from the university for reasons of hardship. These reasons are defined as: (1) death of the student, (2) death in the student’s immediate family, (3) a medical condition that compels withdrawal upon recommendation of the director of Student Health Services, or (4) a mental health condition that compels withdrawal upon recommendation of the director of Counseling and Psychological Services. Requests for exceptions should be submitted to the Refund Appeals Committee, Academic Advising Center. Approved exceptions for refunds or account adjustments will be forwarded to the Student Accounts Office to make final settlement of the student’s account. All refunds, regardless of the source of payment, will be made by a check payable to the student. The WCU Bookstore Book Rental Department offers textbook rentals to on-campus undergraduate students for courses numbered 100-499. Students pay a flat fee of $147.00 each semester and are entitled to the adopted textbook used in each course for which they are registered. Part-time students pay a pro-rated amount equal to the number of semester hours for which the student is registered times the established hourly rate. This plan does not provide notebooks, workbooks, paperbacks, manuals, or supplemental books and materials; these are available for purchase at the Bookstore. Students may purchase Book Rental textbooks at replacement cost (list price less 20 percent), but this does not exempt them from paying the rental fee. Book Rental fees are included with tuition and can be paid in the One-Stop Office. Further information about the Book Rental Plan can be found at wcubookstore.wcu.edu/. Graduate students must purchase all required texts, regardless of course level. Textbooks for courses numbered 500 and above are available at the Bookstore. Textbooks for courses numbered below 500 are available for purchase at the Book Rental Department. Consistent with North Carolina’s public policy of providing the benefits of higher education as free as practicable to the people of our state, the General Assembly has placed stringent criteria on who qualifies as a bona fide resident of this state for tuition purposes. Residence status for tuition purposes in North Carolina is governed by general statute, and the North Carolina State Residency Committee maintains a manual to assist students and their families in understanding both the legal and procedural requirements of resident classification for tuition purposes. Second, generally speaking, state law mandates that only those who can demonstrate 12 months of uninterrupted domicile in North Carolina are eligible for in-state tuition. State law also places on applicants the burden of establishing, by a preponderance of evidence, that they are domiciled, rather than merely residing, in North Carolina. The 12-month (365 days) qualifying period begins at the time that a cluster of domiciliary acts is established as confirmed by valid evidence. In short, a 12-month presence in North Carolina, even when coupled with a declaration of intent to remain permanently, does not, in and of itself, entitle an applicant to in-state tuition. Campuses still must evaluate evidence of domiciliary acts and make an independent determination of whether a bona fide domicile has been established. Third, state law also makes the legal residence of an individual’s living parents or legal guardian prima facie evidence of the individual’s legal residence. This means that, at first view without further investigation or presentation of evidence, the legal residence of the applicant is the same as that of his or her living parent(s) or legal guardian. That prima facie evidence may be rebutted or reinforced by other evidence relative to the applicant’s age and general circumstances. Generally speaking, for an applicant with out-of-state parents, the older the applicant and more independent the applicant is from his or her parents, the more likely it is for the applicant to be able to demonstrate domicile in North Carolina. Additional Resources. The North Carolina State Residency Classification Manual and additional information (including information on the effect of marriage to a North Carolina resident, special treatment for certain members of the military and their dependents, statutory grace period following the loss of domicile and other specific exemptions written into general statute) are available on the University’s website at http://residency.wcu.edu . This website also includes deadline information as well as links to the State Residency Committee’s website and the North Carolina General Statute governing residency. The burden of proof of in-state residency status rests on the student. The specific requirements for establishing residency for tuition purposes and for eligibility for state financial aid are prescribed by state law. A North Carolina resident for tuition purposes (and for state financial aid consideration) is a person or a dependent person (dependent according to IRS tax code - not the FAFSA definition of dependency), whose parent or legal guardian has established and maintained legal residence in North Carolina for at least 12 months. intend to make North Carolina your permanent home indefinitely (rather than being in North Carolina solely to attend college). Persons not meeting the 12-month legal residence requirement may be classified as North Carolina residents for tuition purposes only if they fall within one of the limited “exception” categories authorized by the North Carolina Legislature. All others are ineligible for classification as a North Carolina “resident for tuition purposes” and will be charged out-of-state tuition and not be given consideration for state financial aid. To learn more about residency and complete a determination, go to www.NCresidency.org. Consistent with North Carolina’s public policy of providing the benefits of higher education as free as practicable to the people of our state, the General Assembly has placed stringent criteria on who qualifies as a bona fide resident of this state for tuition purposes. While each institution of higher education within the state mush allow students a chance to demonstrate that they are bona fide residents of the state pursuant to the provisions of the NC State Residence Classification Manual and applicable laws, the burden of proof of in-state resident status for tuition purposes rests on the student. All applications must be received before the end of Add / Drop for the term or period for which an adjustment is sought. Students with pending cases must be prepared to pay the out-of-state rate until their case is resolved. Students who pay the out-of-state rate and who are later determined to in-state rate, will receive a refund for the difference. A student, who has exhausted the residency application procedure and has been classified as a non-resident for tuition purposes, may request an appeal of that decision to the Residency Appeals Board pursuant to the “Policy and Procedures for Determining Residence Status for Tuition Purposes.” This request must be in writing to the Chairperson of the Residency Appeals Board and must be submitted to the address listed below at least fifteen (15) business days from the date of the issuance of the letter of determination. The request may consist simply of the statement, “I wish to appeal the decision of my residence classification for tuition purposes.” It must be dated and signed and should indicate the applicant’s WCU student identification number, academic term, mailing address, e-mail address, and phone number. The student has the right appeal on campus. If denied the local campus appeal information will be sent to the student on how to appeal to the state residency board. To qualify for the in-state tuition under the Veterans Choice Act, the student must start school within 3 years of the service member’s separation from the military and the student must be using either Post 9/11 (Chapter 33) or Montgomery GI Bill (chapter 30) education benefits. More information on the Veteran’s Choice Act can be found here at: http://www.wcu.edu/learn/academic-services/military-student-services/AdditionalResources.asp. A student cannot receive any financial aid funding after he or she has attempted 150% of the hours required to earn a degree. For example, students in programs requiring 120 hours earned for graduation will be eligible for financial aid during the first 180 attempted hours as an undergraduate. All attempted hours are counted, including transfer hours, whether or not financial aid was received or the coursework was successfully completed. This allows for double majors or change of majors. Notification of awards, beginning with completed applications for aid received prior to February 1, will begin February 1 and will continue thereafter. Three principal types of aid are available: (1) grants and scholarships, which do not have to be repaid, (2) loans, usually long-term and low- interest, to be repaid after the student leaves college or drops below half-time enrollment and (3) work-study. Eligibility for federal, state and institutional grants is based on financial need as determined by a formula of the U.S. Department of Education that is applied uniformly to all applicants. Students who complete the Free Application for Federal Student Aid (FAFSA) are considered for grant eligibility. 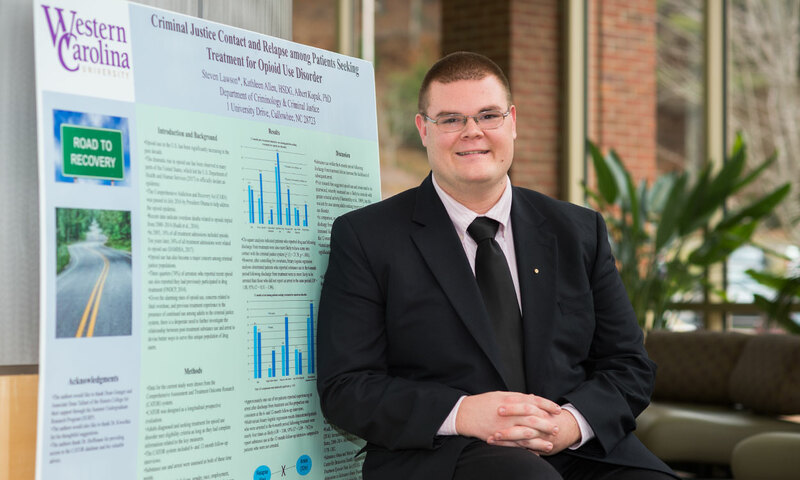 The UNC Campus Scholarship awards grant funds in support of advancing the academic benefits of a diverse student body. 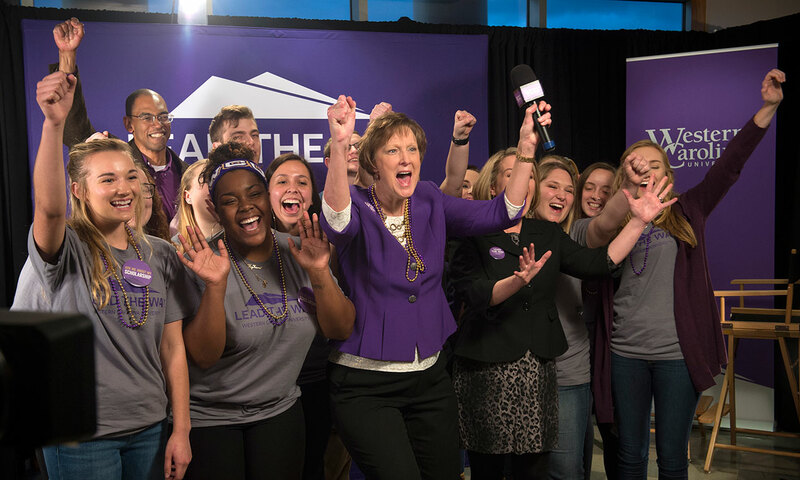 These limited funds are awarded to North Carolina residents who demonstrate financial need and who would bring an element of diversity to Western Carolina University’s campus environment. All applicants must apply for financial assistance by completing the Free Application for Federal Student Aid (FAFSA). Under this Board of Governors program, North Carolina residents demonstrating need who are Native Americans enrolled in a tribe recognized by North Carolina are eligible. All applicants must apply for financial assistance by completing the Free Application for Federal Student Aid (FAFSA). Students must demonstrate financial need. This program provides funds through participating educational institutions to undergraduate students with exceptional financial need who would be unable to enter or remain in an institution of higher education without such assistance. This grant is generally awarded only to students who are eligible for Pell Grants. Established by the General Assembly of North Carolina, these grants are awarded to North Carolina residents who are eligible for Pell Grants. The value of the grant is determined by the Pell Grant eligibility. Students must be North Carolina residents for tuition purposes and enrolled in at least six credit hours at one of the UNC system universities. Eligibility is based on a calculation of need, using income data from the Free Application for Federal Student Aid (FAFSA). Award amounts may vary, based on legislative appropriations. Students must be North Carolina residents for tuition purposes and enrolled in at least six credit hours at one of the UNC system universities. Eligibility is based on a calculation of need, using income data from the Free Application for Federal Student Aid (FAFSA). Award amounts vary, based on an estimated family contribution of $5,000 or less. Western Carolina University is proud to recognize many of the generous contributors who have funded endowed scholarships for deserving students. These scholarships have a wide variety of criteria including: academic merit, financial need, program of study, county of residence, demonstrated leadership, community service, talent, or campus involvement. 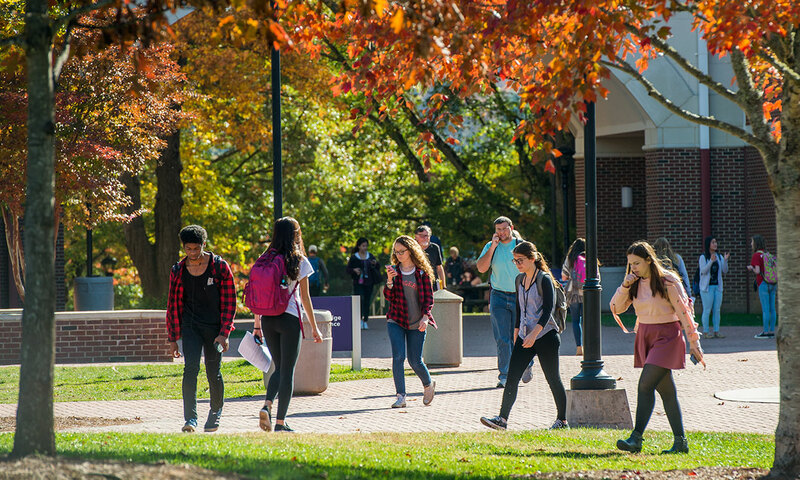 For a full scholarship listing, please visit https://www.wcu.edu/apply/scholarships/. Eligibility for federal loans is determined by a formula of the U.S. Department of Education that is applied uniformly to all applicants. Students who complete the Free Application for Federal Student Aid (FAFSA) are considered for loan eligibility. For a full federal student loan listing, please visit https://studentaid.ed.gov/sa/types/loans. These loans are non-federal loans, made by a lender such as a bank. For more information on private student loans, please visit: http://studentaid.ed.gov/sa/types/loans/federal-vs-private. These loans provide funds to parents to help meet the cost of education. They may borrow up to the cost of education per child minus other financial aid. Borrowers are subject to a credit check upon application. There is an origination fee with a variable interest rate.. Interest starts accruing upon disbursement of funds. The repayment period begins at the time the PLUS loan is fully disbursed, and the first payment is due within 60 days after the final disbursement, unless a deferment option is selected. For more information on Direct PLUS loans, please visit https://studentaid.ed.gov/sa/types/loans/plus. Positions as assistants in the residence halls are available to qualified undergraduate students. Contact the Department of Residential Living. Most veterans who served on active duty for more than 180 days, any part of which occurred after January 31, 1955, are generally eligible for financial support. For more information, please visit http://www.benefits.va.gov/gibill/. Assistance covering fees, books, and supplies is provided. To be eligible, an individual must have a disability that interferes with employment; show reasonable promise of becoming suitably employed within an acceptable period of time; and be of, or close to, working age. Further information can be obtained from local Vocational Rehabilitation offices. For more information regarding veteran benefits, please visit: http://www.military.com/benefits/veteran-state-benefits/north-carolina-state-veterans-benefits.html#4.